Pre-order method CrowdFunding: Here people make online pledges during a campaign, to pre-buy the product for later delivery. A good example of this, is Kickstarter. Equity based CrowdFunding: This is the newest model, which will allow large numbers of “regular” people like you and me, to invest small amounts each online to fund early StartUps, with the expectation to receive dividends or investment appreciation based on the profits of the business. 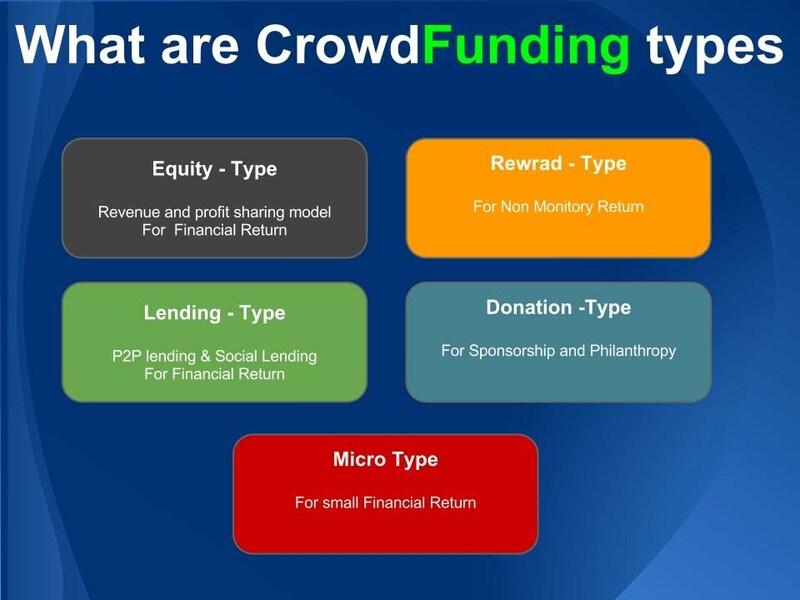 So now we can see that CrowdFunding is using the crowd to raise capital by connecting people with talent, ideas, and some neat stuff to sell, with those that have the funds to invest their way; thus creating jobs, new business opportunities and fueling the economy. The CrowdFunding Revenue is projected to 2.8 billion dollars in 2012, and even more than 16.6 billion in 2014. The speed of growth of CrowdFunding from 2009 to 2014 is very similar to the growth pattern of the Internet in early 1990s. This raises the big question Question? Do you want to just watch CrowdFunding happen and grow? Or do you want to be part of it? How about leveraging the 2.5 billion internet users who can be potential investors with a projected $300 billion dollars for Investment Revenue opportunity? Do you know the size and potential of of your "Social Capital?" Discover how to Capitalize on “Your Network” and learn to start your successful CrowdFunding Campaign!